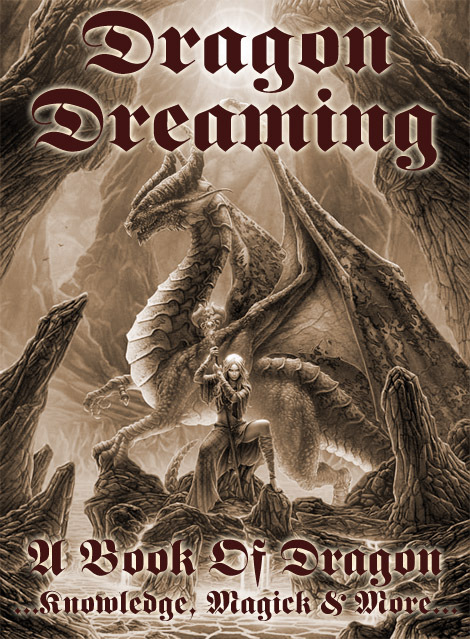 For a while now I’ve been thinking of changing the design of my “Dragon Dreaming” website/blog. I haven’t had much luck finding a WordPress theme that I like so the big transformation hasn’t happened yet …and there’ll be a lot of work redoing menus as this old “Quentin” theme I’m using hasn’t got all the functionality of the newer themes, so I want to get it right if I do change it. I am rather attached to the “antique” look that the site currently has but I would like to have a wider page, and a menu that works properly on mobile devices. However, no other theme comes close to the current design as far as “ye olde world” look is concerned (including “Quintus” which was supposed to be a newer version of “Quentin”). Then again, maybe it’s time to move away from all the sepia and parchment colours and try something different. Decisions, decisions!!! For now though I decided to change the images on the front page so it looks a teensy bit different. The image above is what was on the front page until this morning — I forgot to get a screenshot of the overall look. The image below is a screenshot of the latest change (15 Oct 2015). This entry was posted in Dragon Images and tagged dragon dreaming.